Remembering The Great Cancer Biologist “Govindasamy Shanmugam” (1938–2015). Current Science latest Issue, Guest Editorial about “Why do we do the science we do? Apply For the Post of Consultant @ NCCS, Pune. An India-born Nobel laureate’s solutions for fixing science in India. Akshat Rathi of Quartz and Harini Barath of IndiaBioscience got a chance to interact with Venkatraman Ramakrishnan (Venki), recipient of Nobel Prize in chemistry in 2009 at Lindau Nobel Laureates Meeting 2015 held in Bavaria, Germany. Both of them asked really fundamental, opinion based as well as curious questions which every Indian wants to ask. They moreover asked him about fixing science in India, the difficulties of a career in science, and some lighter subjects. The interview has been condensed and lightly edited for clarity as edited by both of them. Here is the full conversion taken from Quartz India webpage. Akshat and Harini: What is your opinion of the level of scientific research in India? Venki: The institutes I have visited are the cream of the crop. So my view of Indian science is obviously skewed by that. But, if you go to your typical state university, and I’ve done that also, then you find that they have very poor infrastructure, very poor funding, and a rather low level of research, usually very incremental. Akshat and Harini: How do you think things can be improved? Venki: The government is trying to restore things by creating the Indian Institutes for Science Education and Research (IISERs). I’ve visited two IISERs and I was impressed by both of them. But, of course, you need many more high-level institutions for a country of a billion people. State universities need to have better faculty who know what good research is. Otherwise undergraduates as a whole are not going to be exposed to very good science. And that takes a lot of investment. If you look at the difference in investment between India and China, for instance, it’s a stark difference even when you correct for the fact that China has a bigger economy. When I go to China, I see a country that, in some ways, has caught up with the West; perhaps not with the very best of the West, but certainly with the average. I don’t see that in India, except for very few elite institutions. Akshat and Harini: So funding is one way to solve the problem, and the other way is to balance research and education in institutions. Venki: Yes. Britain is a real example in this regard. It balances between research institutes (like the MRC Lab where I work) and some very well-funded university programmes. I think you need both, because the two can do different kinds of science. For instance, we can engage in long-term science, and often universities, with their turnover of students and so on, cannot always do that. And I think they’re complementary. It’s the kind of scientific infrastructure that a country like India needs to create. Akshat and Harini: To promote universities, you have to attract talent. How can you get a young scientist to take that leap and become a faculty member at a place with possibly low funding? Venki: So the only way you can do that is by jump starting a place. And state governments can help with this. They can provide matching funds, or even a majority of the funds. They can say, we want to make this university in our state a centre of excellence in this particular area. We’re going to put a lot of money into it and attract this one senior person, who is known to be very good, to help recruit younger scientists. This leads to another problem. Senior scientists need to know when to step down gracefully. And their goal should be to promote people who’ll take over from them. There are very few institutions in India that do this. In my job as head of division at the MRC Lab of Molecular Biology for the last 10 years, we have done a lot of recruiting. Whenever I recruit, the question I ask is “is this person likely to replace me one day?” And if the answer is yes, that’s the sort of person I want. And we do everything possible to make sure their careers flourish. Akshat and Harini: This is a good excuse to talk about your next position at the Royal Society. What legacy would you like to leave? Venki: It’s a little premature to ask me because I don’t take up office until December, but I have a few ideas. One is to increase support for science from the government, and to increase public awareness and interest in science. Another thing is to work with other organisations to help raise the standards of education, especially in schools, of science. Another thing is to make sure that whenever there are difficult issues, the Royal Society engages productively in getting the best expert opinions on these issues, and producing good policy statements both for the government and the public. Of course, another aspect in which I am interested, as somebody who was born in India, is to engage with other countries, especially to foster exchange and collaborations. One idea is to try and get support for exchange programmes between Indian scientists and students and British institutions. I think that would be great. Akshat and Harini: You met your wife when she was studying painting? Does having a non-science person as your partner help in any way? Venki: I can say there are advantages and disadvantages. The advantage is that when I get home, I don’t have to talk about science, and I can talk about all sorts of other things. So that’s very refreshing. The disadvantage, of course, is that she doesn’t necessarily understand all of the problems and stresses I have, which are specific to science. I don’t think it matters one way or another. Two people just have to get along. Akshat and Harini: Onto some light-hearted questions. How much sleep do you need and does it affect your work? Venki: I usually go to bed at about 10 PM or so. I wake up between 6 AM and 7 AM. I don’t function very well without a good night’s sleep. Akshat and Harini: Are you addicted to something? Venki: I’m addicted to surfing news articles on the internet. That’s a very bad addiction, because most of the things I read are not very lasting. If I hadn’t read them, there would be no consequence whatsoever. But the internet has this addictive quality, and it’s one thing I’m trying to control. Akshat and Harini: What’s your idea of a perfect holiday? Venki: A perfect holiday would be either going on a hike or a bicycle ride, where I’m doing things outdoors and not thinking about all the stresses of life. Definitely away from email and work-related things. Akshat and Harini: Where do your best ideas come from? Venki: Often they come when I’m engaged in some leisure activity. For instance, I’m on a walk or a bike, and suddenly, without actually realising it, I’m thinking about some problem that’s been bothering me. In these moments, a new approach might occur to me. Occasionally, good ideas will come from reading something I wasn’t expecting to read. And very occasionally, they come from talking to people I meet, who may not be in my field but have an insight into my work that hadn’t occurred to me because the person’s an outsider. Akshat and Harini: What one advice would you give to young scientists? 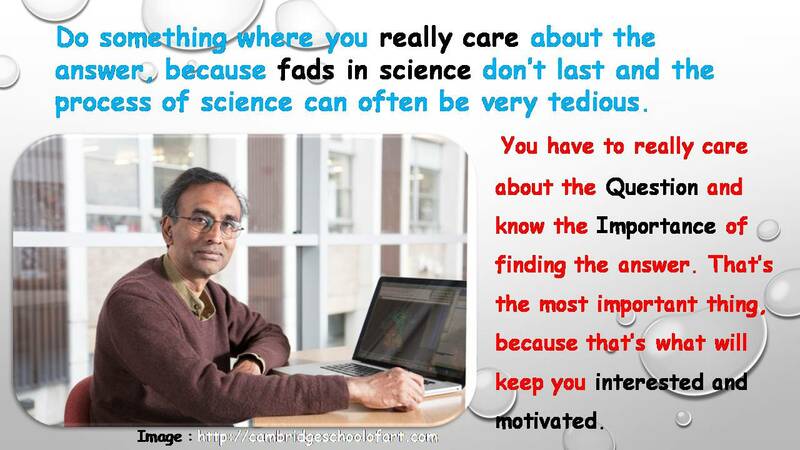 Venki: Do something where you really care about the answer, because fads in science don’t last and the process of science can often be very tedious. You have to really care about the question and know the importance of finding the answer. That’s the most important thing, because that’s what will keep you interested and motivated. The Howard Hughes Medical Institute (HHMI) taking Science to a new height. 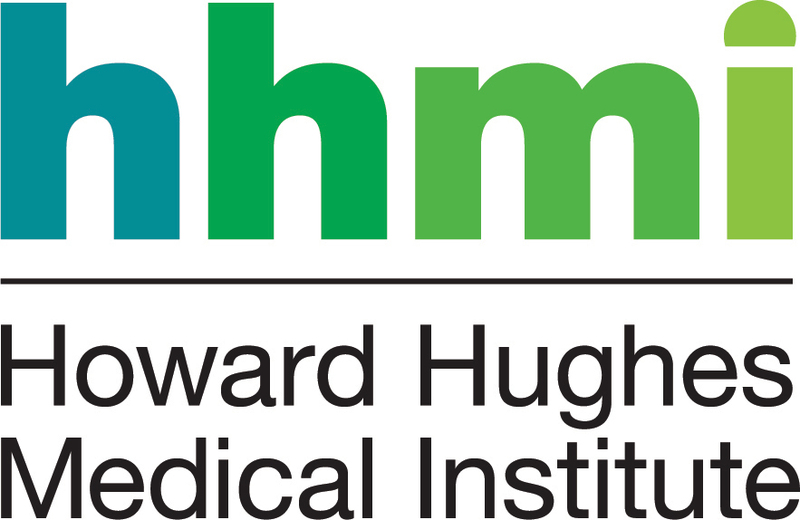 The Howard Hughes Medical Institute (HHMI) follows FOUR major principles to advance science. HHMI work very hard towards advancement of science through Research as well as Science Education. As one of the professors from HHMI quotes. The very famous program of HHMI is “Bio interactive“which is flooded with information about various menus. Walk in Interview for the posts of Project Assistants @ CSIR, New Delhi.